Family and Cosmetic Dentistry at Affordable Prices. Dental Implants, Dentures, Crowns, Bridges, Root Canals, Extractions, Sedation, Snap On Dentures with Implants, Invisalign, and Fillings. Best Dentist at Low Affordable Prices. CHECK out our CURRENT PROMOTIONS for the BEST PRICES!! Under the SERVICES section, click on CURRENT PROMOTIONS. FREE EXAMS and FREE CONSULTATIONS for new patients without insurance. Get your BEAUTIFUL SMILE TODAY AT AN AFFORDABLE LOW PRICE! Please call us at (480) 833-9942 today! Here at Tru-Value Denture and Dental Center we believe that dental care should be AFFORDABLE and available to all. That is why we offer LOW FEES and VERY COMPETITIVE LOW PRICES. We are committed to providing a wonderful and comfortable dental experience every time you visit us. Dr. Steven Nguyen DDS is one of the best dentist in Mesa AZ Arizona. Dr. Steven Nguyen and Tru-Value Dental and Denture offer high quality dentistry at low affordable discounted prices. Featured as America’s Best Dentist, Top Dentist in America, Inspirery, and Ideamensch, Dr Steve Nguyen was also selected to be a member of the exclusive AAID (American Academy of Implant Dentistry). Steven Nguyen DDS believes in offering “True Value” dental care at reasonable, competitive, inexpensive, and cheaper prices. We are compassionate, caring, and strive for the utmost patient satisfaction. Tru-Value Dental promotional offers Dental Implants only $699 each, Dentures from $799, Invisalign starting at $3295, Root Canals, Extractions, Crowns, Bridges, and Cosmetic Dentistry at Affordable Low Prices Discounts. 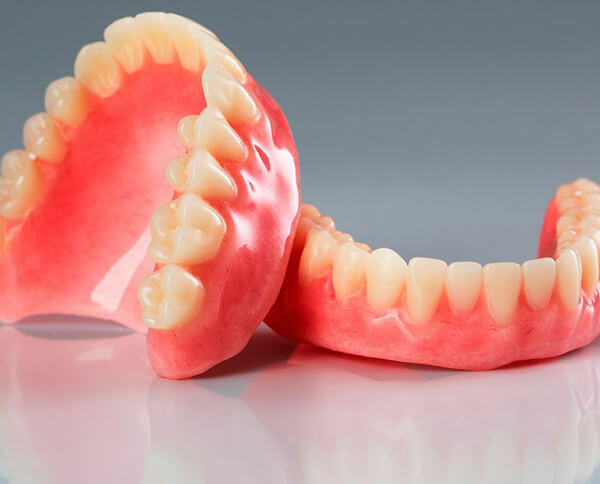 Snap on Dentures starting from $3295 with Premium Lower Denture and 2 Implants. Call us at 480-833-9942 Today! As a practice, we are true believers that preventative care and education are the keys to optimal dental health. We strive to provide “dental health care” vs. “disease care”. That's why we focus on thorough exams – checking the overall health of your teeth and gums, performing oral cancer exams, and taking x-rays when necessary. We also know that routine cleanings, flossing, sealants, and fluoride are all helpful in preventing dental disease. Not only are we focused on the beauty of your smile, we're also concerned about your health. A review of your medical history can help us stay informed of your overall health, any new medications, and any illnesses that may impact your dental health.